If you don’t use the default mail client on your computer, you can easily make the mailto: links in your browser open in your regular email program. Here’s what you need to know. 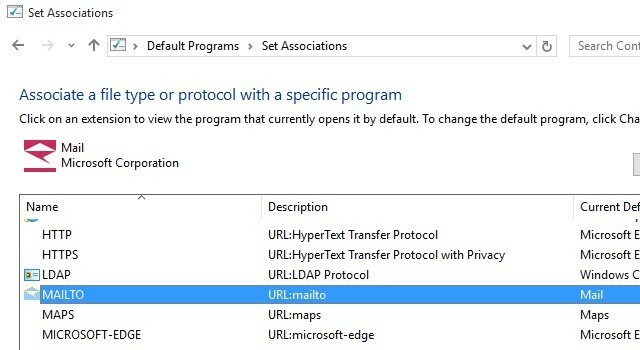 Any time you click on an email-address-turned-link (also called a mailto: link) on any web page or in any desktop program on your computer, it opens a compose window in the default mail client that came with your operating system. That’s quite annoying when you use a third-party email client or even a webmail service. Wouldn’t you prefer having mailto: links open up in the email program that you use instead? Well, that’s exactly how things will work if you set up your email program to be the default handler for mailto: links. We’ll show you how to do that. If you prefer the webmail experience, depending on the browser and the webmail service that you use, let’s see how you can make those two work in harmony to handle mailto: links. For other popular webmail clients that are not Gmail, the Chrome extension Mailto: offers the quickest way to set them as default handlers for mailto: links. It supports Outlook, Yahoo! Mail, FastMail, Zoho Mail, and AOL Mail right out of the box. If you use an email service that’s not part of this set, you can still configure that service using the add another service option. 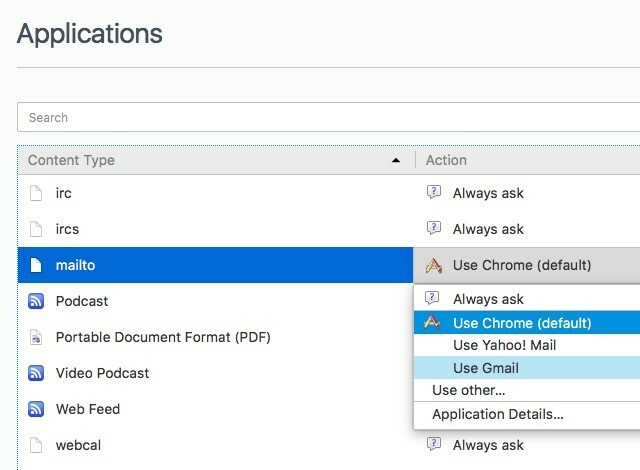 No matter which webmail service you use, if you’re on Safari or Opera, you’ll have to fall back on the Mailto extension that we discussed in the In Chrome section above. Here are the links to the extension’s Safari version and Opera version. Tweaking mailto: associations is not all smooth sailing in some cases, especially if you use a service that’s not Gmail. 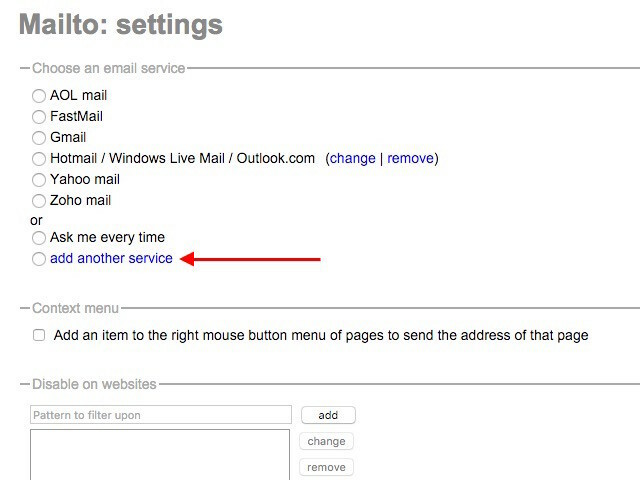 On Internet Explorer, for example, you can use Gmail for mailto: links only if you have installed Google Toolbar. If you have, go to Toolbar Options > General > Web-browsing tools and check the box next to Use Gmail for “Mail To” Links to set up the mailto: association for Gmail. If you have ditched webmail for a desktop email client, it makes sense to use the latter as the default handler for email links that appear in any program or on any web page. There’s nothing you need to configure if you have decided to stick with the mail client that came bundled with your operating system. But if you use a third-party email client like Thunderbird, you can set that as the systemwide default for everything to do with email. Here’s how you can do that on the top three desktop operating systems. On Windows 7 through 10, first go to Control Panel > Programs > Default Programs > Set Associations and click on Associate a file type or protocol with a program. Now scroll down to the Protocols section, look for the MAILTO row, and double-click on it. 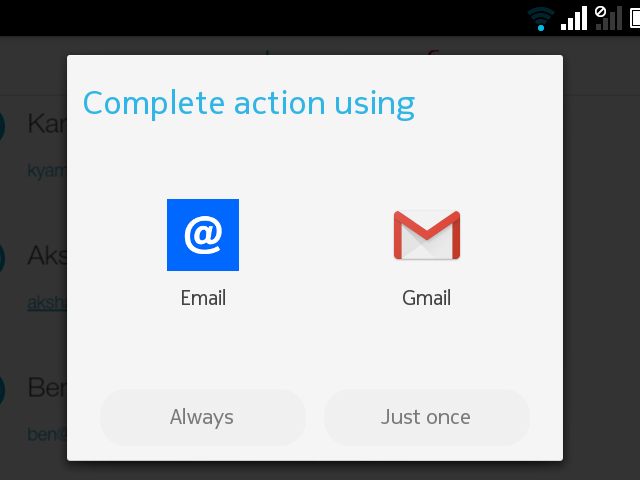 You’ll then be able to select an email client of your choice (provided you have already installed it on your computer) from the popup that appears. You’ll also find an option to get an email app from the Windows Store and immediately associate it with mailto: links from the popup. On Linux, you’ll need to ensure that your email program is set as the default application for handling email. The location of the default applications setting might vary based on the distro that you use. On Ubuntu, you’ll most likely find it under System Settings > Details > Default Applications. Look for the Mail dropdown menu and select your email program within it. When you click on a mailto: link in your browser on Android, you’ll get the Complete action usingpopup in which you’ll be able to select any installed email client of your choice as the default handler for mailto: links. Once you select it, tap on the Always button to finalize the change. If the mailto: link takes you to an email app that’s already been configured as the default, go to Settings > Apps, tap on the app that’s currently the default, and in its App Info section, tap on the Clear defaults button under Launch by default. Once you do this, you’ll be able to see the Complete action using popup for associating mailto: links with the email client that you prefer. Remember, if there’s no alternative to the default email app installed on your Android device, mailto: links will take you directly to the default app. My search for a setting, app, or tweak that lets you change mailto: associations on Microsoft Edge and on iOS came up blank. If you had better luck with that, do let me know in the comments! Setting up your favorite email client to handle mailto: links is a one-time tweak and doesn’t take much of an effort. Even if it looks like an insignificant change, you’re sure to appreciate the way it smooths out your workflow.